» DS18B20 external supply ? I have a question about DS18B20 external supply, when I connect DS18B20, why is the circuit short ?? I connect DQ to PC0 on atmega128....what's wrong with it ? This question makes little sense. Stop and think for a moment what you're asking. I we were standing next to you we could probably understand, but we're not. You need to give us more informatiom - like how you've connected the ds1820 and how you're measuring it. If there is a short circuit, sounds like something is wrong. A schematic or a good photo of the setup would be helpful. Ok I ll post schematic later on... when I tested pin 1 and 3 18b20 without it..not short.. I don t get it?? 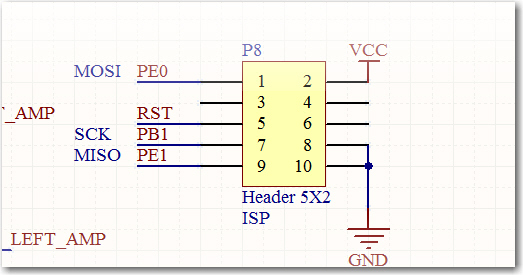 Have you studied the DS18B20 datasheet to see how it should be connected ? Does your setup match what the datasheet says? Note that there are 2 ways of powering the DS18B20: either with a separate power connection, or using so-called "parasite power" - it's all detailed in the datasheet. Have you tried another port pin? Please describe again exactly what the circuit is doing, and what you expected it to do. ATmega128 will read temperature information from DS18B20 via PC0.....when I try with module, it's working but when I put on PCB track, it becomes short, I don't get it ?? I think you ought to recheck the orientation of the DS on the PCB, recheck the PCB routing, and look closely for any solder bridges, etc. If you remove the DS from the PCB does the micro run correctly? If the DS is not installed, is there a short between the traces, when measured with a DMM, and the board not powered up? I don t put any resistors..?? Do you have an Arduino or a breadboard with which you could try that particular DS, and make sure it is still good, separate from your main PCB?